The CETME Model C would be the basis for the wildly successful H&K 91 / G3 rifle, and a small batch of CETME rifles was brought into the United States as early as 1966. 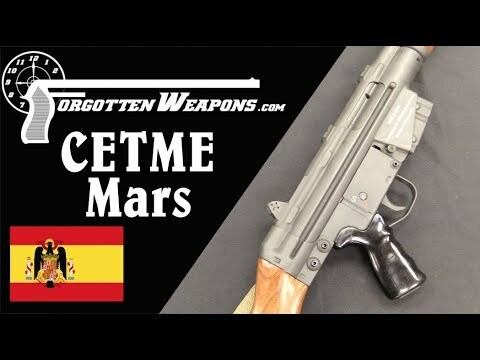 They were imported by the Mars Equipment Corporation of Chicago, and are completely Spanish-made examples of the original CETME. A few changes were made to the military pattern to made them semiautomatic only, and a total of 1254 were brought into the US between 1966 and 1971. They were imported in two models; the first batch had metal handguards and integral folding bipods, and the second batch had wooden handguards and no bipods. To increase their civilian appeal, they also came with a pair of scope mounting blocks on the receiver, which were not standard to Spanish military rifles. What A True American Sarah Sanders Is…………..